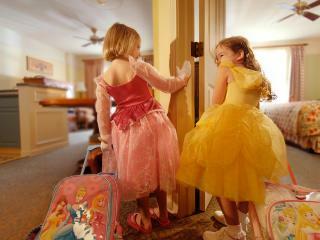 Surely the only thing better than visiting Walt Disney World Resort is actually staying there! 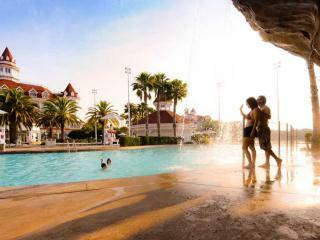 And, as a Disney Resort Hotel guest you will be able to take advantage of all these benefits. Don’t miss out on the ideal side dish for your 2020 Walt Disney World Resort in Florida holiday. For bookings made 25 April–5 November 2019 (for selected arrivals 1 January–3 October 2020), guests staying at selected Disney Moderate, Deluxe, or Deluxe Villa Resorts get treated to FREE Disney Dining, or FREE Breakfast when you stay at a selected Disney Value Resort. Remember, Free Disney Dining & Drinks is really popular, so there’s only a limited number of special offer rooms at each participating Disney Resort Hotel. * Terms, restrictions and exclusions apply. 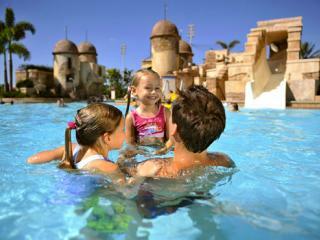 ^ Savings are per adult, based on a two-week stay. Allowances are per guest, per night. These brightly-themed resorts are fun, vibrant and fully kitted out with everything you’ll need for your Disney holiday. 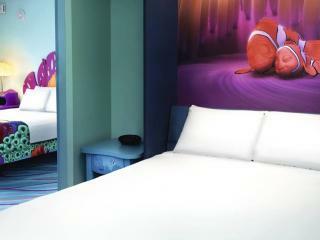 Perfect for you if you want to be surrounded by the Disney magic throughout your holiday, but without a huge price tag. Perfect for you if you want a few added extras but still with a great value price tag. Disney Moderate Resorts offer a relaxing retreat for guests who wish to incorporate some down time away from the Parks in the fabulous facilities. Looking for a little luxury on your Disney holiday? Disney's Deluxe Resort Hotels offer something extra when it comes to the service, recreation, dining and unique transport options that make your Disney holiday that extra bit special. If you're travelling in a larger group and are looking for more space, luxury and the ability to self-cater, the Disney Deluxe Villas are perfect for your holiday. These uniquely-themed luxury villas provide the ultimate Disney hotel experience.